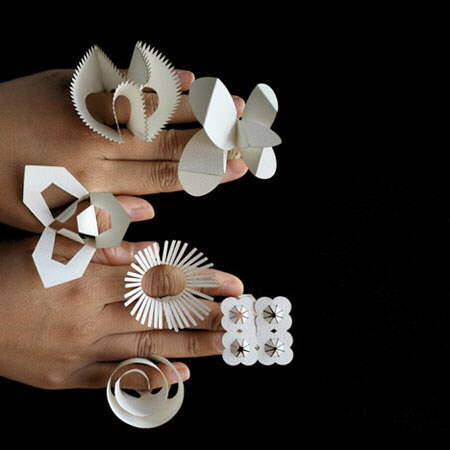 DesignersTithi KutchamuchandNutre Arayavanishof TT:NT have designed a range of fold-out paper jewellery, launched atOriginatSomerset housein London last month. 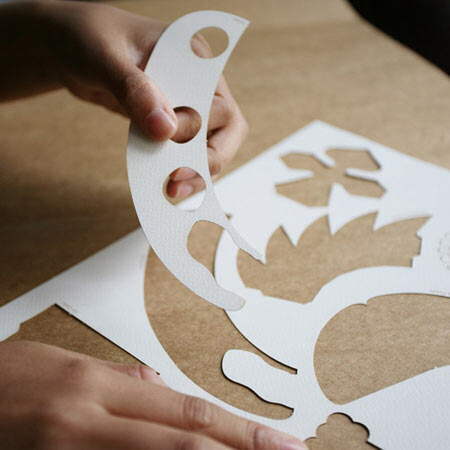 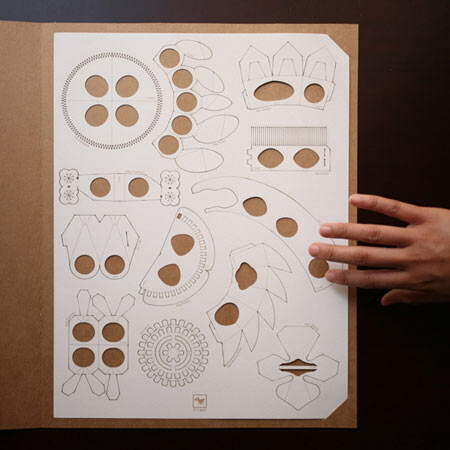 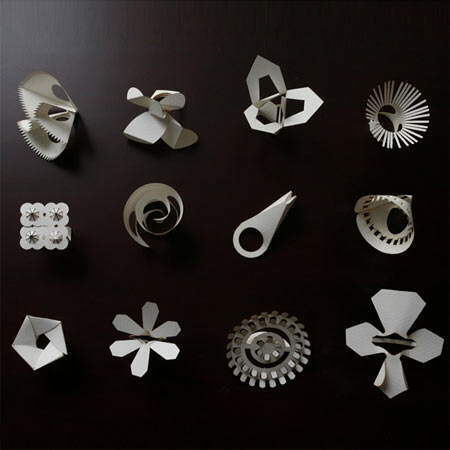 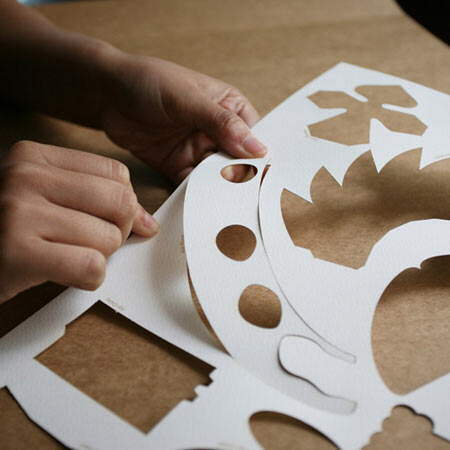 The collection consists of twelve ring designs, which are laser-cut from paper and sold flat for the user to assemble. 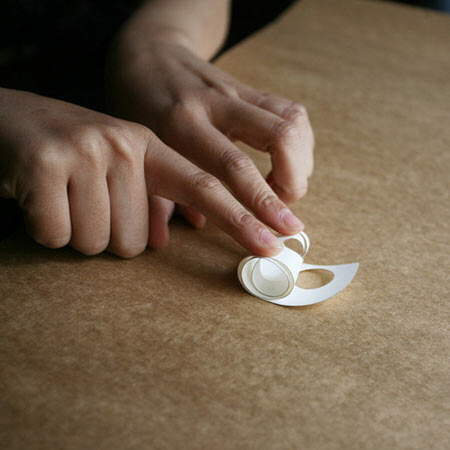 Rings are available in a sheet with all twelve or individually. 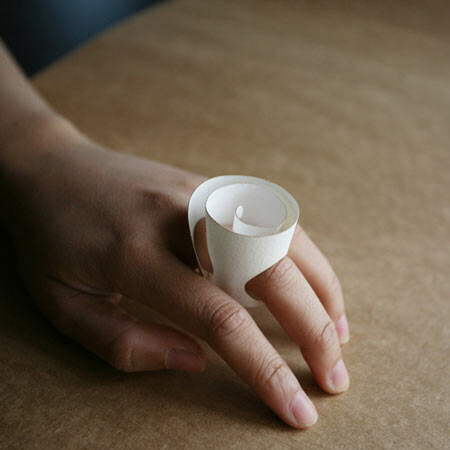 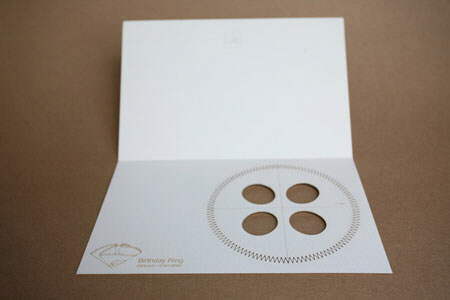 Birthday Ring is the laser-engraved-fine paper card that can be able to fold into flower-shaped ring. 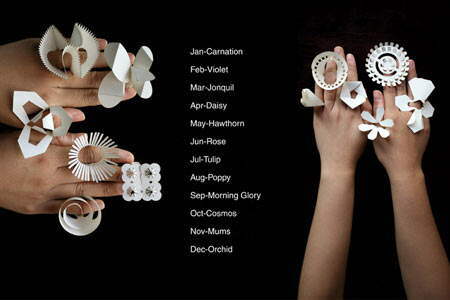 There are 12 birth flowers altogether for each calendar month. 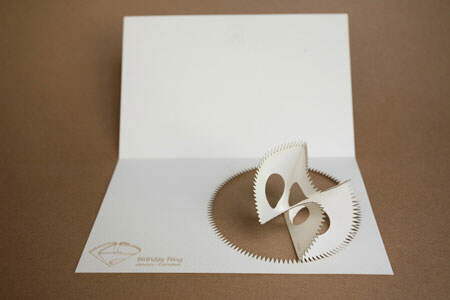 They are the special birthday present for the special day. 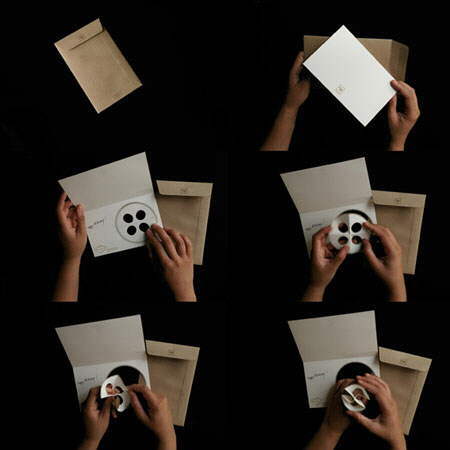 All year rings is a flat sheet of laser-engraved-fine paper with recycling paper package, work as a calendar, contains 12 flower-shaped rings for each months for all year long.